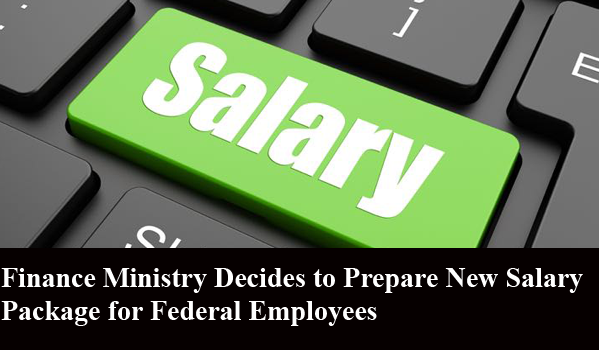 Finance Ministry Decides to Prepare New Salary Package for Federal Employees. The Ministry of Finance on Wednesday decided to constitute a committee to prepare a new package for the federal government employees which will be finalized before the announcement of the budget for the next year. It was decided during a meeting of a delegation of Federation of Federal Government Employees (Pakistan) here Wednesday with the Minister of State for Finance Rana Muhammad Afzal Khan here at Ministry of Finance. The delegation was led by Chaudhry Mukhtar and comprised federal government employees from different ministries and departments. The Minister gave instructions for convening the meeting of all the officials concerned and initiate preparations for a quality salary package for Federal Government employees in the forthcoming budget. He said that the government was prepared to provide maximum facilitation to the employees that was possible keeping in view available resources. The Minister had detailed discussion with the delegation on the 14-point agenda and said their proposals would be accorded due consideration. He assured them of his full support in the matter.